If you have recently come to live in Aylesbury, Wendover or the surrounding area and are eligible to register with the practice please use this form. Alternatively, you can download the registration forms. 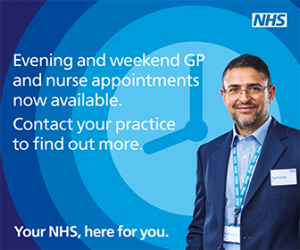 All newly registered patients are invited to make an initial appointment to discuss their health needs. Please speak to a member of the reception team if you wish to do so. You will not be registered at Westongrove Partnership until we confirm your registration. You will also need to reside within our practice boundaries. Each practice within Westongrove has its’ own catchment area. We require two forms of ID which you must present in person – one for proof of identity and one for proof of address. All forms of ID must be valid and proof of address must be no more than three months old.